Matt Caccamo represents a range of national and international clients in complex commercial disputes. He regularly litigates a variety of claims and legal issues, and also acts as regular litigation counsel for large consumer retailers and an international manufacturer of consumer product component parts. 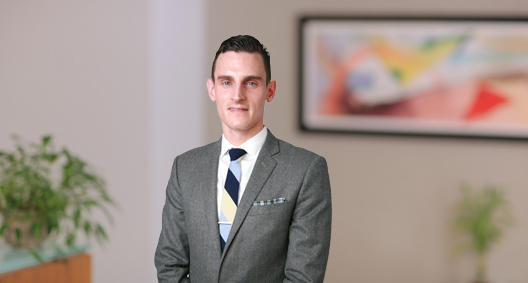 An experienced advocate, Matt takes pride in the work he does for clients, and in advising them through a range of legal matters, including before litigation is initiated. Represented commercial insurer defendants in insurance brokerage antitrust litigation, an MDL class action involving claims alleging a conspiracy among insurance brokers and insurers in violation of the Sherman Act and RICO. Represented Motorola Mobility, LLC, (and predecessor Motorola, Inc.) in defense of multiple consumer class actions in various jurisdictions throughout the United States. Represented a large commercial insurer in an action in federal court in Florida to recover more than $25 million in unpaid premiums and deductible reimbursements. Represented RBM Consulting, a start-up voting equipment and services company, in an AAA arbitration involving breach of contract claims against Dominion Voting Systems. After a seven-day hearing, the panel found in RBM's favor and awarded RBM approximately $5 million in lost commission damages. After Dominion challenged the award, the Circuit Court of Cook County confirmed the arbitration award and entered judgment in RBM's favor. Represented a long-term care insurer in series of nationwide and statewide putative class actions arising from challenges to pricing, rate increases and claims handling practices. Represented several large commercial insurers in internal investigation of contingent commission payments to brokers. Represented several insurers in defense of Fair Credit Reporting Act class actions alleging improper use of credit information. Represented a large consumer retailer in TRO action against a prominent international bank that threatened to shut off funding for the retailer's private label credit card. Represented a client in defeating toxic tort mass action under the federal Class Action Fairness Act, where plaintiffs claimed health risk and property damage arising from exposure to creosote and pentachlorophenol. Represented a large retailer in successful defense and settlement of a dispute with the landlord of the retailer's headquarters. Represented several Chicago-area clients, including Village of Sauk Village and Belt Railway (and co-owner of CSX), in eminent domain litigation and counseling. Represented a prominent government contractor in mechanics lien litigation with various Chicago-area government entities and subcontractors. Represented a consumer retailer in defense of class actions in California alleging improper classification of employees as independent contractors. Represented manufacturing clients in defeating certification of nationwide false marketing, consumer fraud, nuisance and product liability class action involving an industry-wide challenge to CCA pressure treated wood. Represented individuals seeking asylum to hearing review boards.